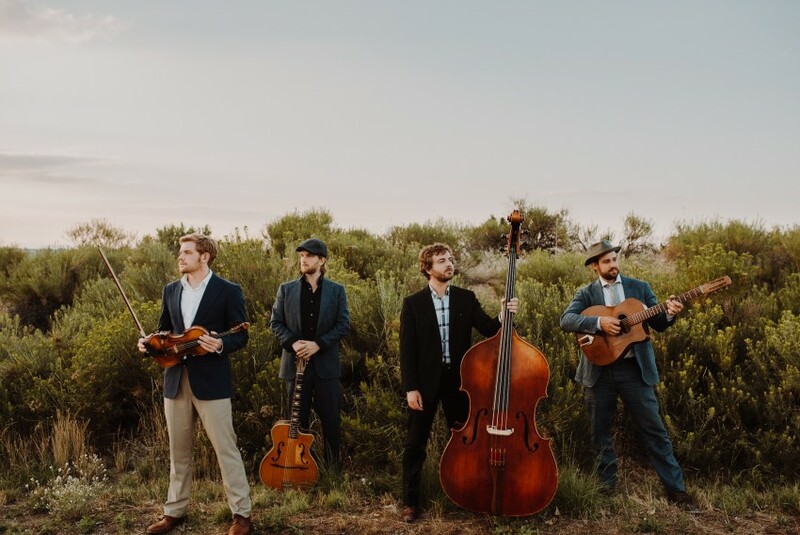 La Pompe Jazz is a Denver based Gypsy jazz band that performs an eclectic melding of 40's era American Jazz standards with classic french gypsy tunes, burning bossas, and soulful blues. With a mixture of vocal tunes and instrumentals La Pompe jazz is perfect for a low key evening or a truly swinging affair! La Pompe Jazz is available to travel to any part of the US and beyond. Well known throughout Colorado as one of the best swing/jazz bands, La Pompe Jazz has opened for internationally acclaimed Big Bad Voodoo Daddy and performed at some of the states biggest festivals including the People's Fair, Westword Music Showcase, Five Points Jazz festival and The Great American Beer Fest. La Pompe Jazz performed at my daughter's wedding June of 2018. They provided ceremony music, cocktail music and reception music for listening and dancing. The wedding date and the venue were chosen to accommodate La Pompe's schedule. La Pompe was truly the centerpiece of the wedding day activities with the venue, date, etc. falling in place after confirmation La Pompe would perform. All other elements were negotiable for the wedding day. It was a pleasure working with David on selecting and arranging the songs and the flow for the day. With a special thank-you to all four of the guys for the "First Dance Song" that they arranged and performed at our request. A very successful presentation was obtained for the song previously not covered in their repertoire or other bands collections because of the difficulty, remarkability and recognition of the tune to the original performer as the only one of its kind. A daunting task to consider taking on, let alone to excel at. It is refreshing and hopeful knowing that the world still has young people and dreamers willing to keep the past alive and to help others remember forgotten names and the talent that was originally presented over many previous decades. La Pompe's troupe provides that service well, along with performing more recent and original songs. Andy, David, Erik and Kevin are consummate gentlemen and entertainers, and just plain fun to be around. La Pompe entertained and delighted our friends and family as promised, and especially Mallory and Brad. We thank you for the beginning through the ending of a perfect day. Tim, your words are incredibly kind. Our deepest thank you!! La Pompe Jazz: Better than anything you might hope for!! A total homerun. Our wedding and reception were made so much better by their music!! In addition to their live performances, which were amazing, their help in the audio and special music requests were awesome. We were really lucky to stumble across La Pompe Jazz in our search for local jazz groups. We knew that we wanted to find talented and friendly musicians to play at the Denver Art Museum's final Friday event called Untitled. We could not be more pleased with our experience. Working with them is fun and easy - they've got lots of great ideas; they are professional; and, of course, they are very talented musicians! Staff and visitors at the event loved their music and had nothing but compliments to share. We hope to have more opportunities to work with them in the future at the DAM. Great sound and perfect for the room! Everyone really enjoyed these guys. Lots of original stuff, and a tight, smooth sound. The performance was spot on & everyone was professional & a pleasure to interact with. All our guests raved about the band! La Pompe Jazz, David, Erik, Kevin, and Andrew, played our wedding last weekend at River Bend in Lyons, CO. We absolutely 110% loved them and multiple guests are still asking about the band and how to book them. They played acoustics sets that were perfect and created an amazing interpretation of our wedding song. The guys are both crazy talented musicians and really lovely people, they played through cold drizzly weather, made the night insanely special, and we can't recommend them enough! We had a great time with La Pompe Jazz at our wedding. They were easy to communicate with, and super flexible with arrangements. They first played an acoustic set at our cocktail hour, and then moved up a floor to play for dancing. In addition, they made their sound system available for our swing instructors, as well as for us to play recorded music after their sets were over. And of course, the music was great! We asked them to learn "Hallelujah I love her so" for our first dance, and really enjoyed their rendition. Would definitely recommend for anyone wanting some gypsy jazz/swing at their event. La Pompe was the perfect band for our special day. They were professional, on time, and enhanced the magic of the day. The best part was that they were able to play classical music for the ceremony and then played during both Happy Hour and Dinner. I love their sound and the ambiance they create. Anyone looking for a band should definitely hire this group. Thank you so much Erin! We had a great time performing and loved listening to your John Prine song! The guys played at our friends & family gathering to celebrate our wedding. We decided to cancel our plans and do something more casual. It turned out great and it was so much fun! Everyone enjoyed the music and raved about how talented and fun the band was. We can't thank you enough for being so flexible, accommodating, super quick on responding, sweet and having an enormous talent. It was so great to meet you! We hope to be able to cross paths again and enjoy your music. We are blushing! Thank you so much! These guys are so talented and really were super flexible about the dates and venue. We had a wedding in our back yard and were trying to make it a little more formal, but fun. These guys were fantastic. Great music and it really added an elegant touch to our wedding. Thanks to David and the guys for coming. It made our celebration really special. Thanks Scott! We had a blast! La Pompe Jazz played at my wedding in Boulder. They were professional, fun and engaging. They learned our favourite song so we could rock out to it. We had so much fun! Thanks again! We love La Pompe Jazz! Thank you Vanessa, River Bend is such a beautiful venue. Thank you for having us. This band is exactly what we were looking for! All of the guests were ooo-ing and ahhh-ing over the music all night! They creating such a great vibe for our party. You won't be disappointed! Thank you Jana! What a fun event! We had our wedding under the large tent at the Denver Botanic Gardens and La Pompe Jazz was perfect for our reception. It was great music that a variety of people enjoyed (the groom's family is from India) and we had fun dancing. Communication was great and they were incredibly friendly and easy to work with. Very talented group!! Thank you so much for the review! We had such a fun time! I'm so grateful to La Pompe Jazz! David was easy to work with and proactively reached out to me throughout the weeks leading up to our wedding to make sure all details were in place. As a musician myself, I was very particular about the type of music I wanted at our wedding and La Pompe was outstanding. Everyone enjoyed the evening and I highly recommend them for any event! Thank you Heather! Your family is awesome. I loved your ceremony! Hiring La Pompe Jazz for our wedding reception was easily one of the smartest moves we made. The music was amazing, the musicians were gracious and talented, and our friends and family loved them. They were absolutely perfect for the event - folks could dance if they wanted, but the band wasn't so loud as to drown out everything around them. They even learned a new tune specifically so that we (professional musicians both bride and groom) could play a "first tune" with them. They really made our reception perfect and we wouldn't hesitate to recommend them! Rich you are the best. That was really fun playing your "first tune"! Incredible band! Perfect for our event! La Pompe played for a fundraising event in Denver and were the perfect addition to make our event extra special. They were upbeat, fun, and added so much to the ambiance of the event. Our guests loved having them there! They were incredibly easy to work with and always quick to respond throughout the booking and planning process. They showed up on time, ran a quick sound check, and were completely self sufficient. As the event manager that was coordinating a bunch of other things, it was such a relief to know that they had it all under control! They are all incredibly talented musicians and I highly recommend them for any event and look forward to hearing them play more around the Denver local music scene. Thank you so much Sally! Your organization is doing great things, and we were lucky to be a part of your event. It was three weeks out from our event and we still did not have a band! I Googled "best jazz bands denver" and am so glad I came across Gigsalad and La Pompe Jazz. La Pompe added that something extra to our private event at the Clyfford Still Museum. I only wish we had them play longer! Thanks, David, for coordinating everything and making the process easy. I've already spread the word about how great the band is to some of our local guests and everyone who attended was so excited to have the band's album at the end of the night. Thanks, again! Thank you Wendy! You and your whole group were a pleasure to perform for! We hosted an anniversary party on Sat, December 3 and through Gig Salad signed LaPompe Jazz to entertain. We did not know the band beforehand and had several options offered. Are we happy that we chose LaPompe! The guests all enjoyed the evening, asked where to find the band. Several guests were exposed for the first time to Gypsy style jazz and they loved it. Live music was an unusual surprise and made our event very special. David was so easy to work with. He accommodated our needs to look at the unusual space beforehand ( the Denver Puppet Theatre),showed up early for set up, asked how they could adjust the sound throughout the evening. All the band members were friendly and clearly proud of their art. David adjusted the playlist based on our needs and the fact that many enjoyed listening and not necessarily dancing. We had many ages attending and all enjoyed the diversity of the music. Maureen, we really appreciate you and Peters hospitality! Thank you! David and the entire band was amazing from start to finish. My husband composed and wrote lyrics for a song which they learned and performed at our reception and accommodated all of our requests. Their sound is unique and each one of them is incredibly talented. Our guests loved them and our cocktail reception was so special because of their style. We highly recommend them. If you are looking for a unique, jazzy, talented group of guys, hire them right away!! Thanks Jen! The St. Julien was beautiful. We had a blast. La Pompe Jazz was a great choice for our event, their music selections were perfect for our dinner. It was an easy process making arrangements with the band and they were available when I had questions. We will definitely use them again! La Pompe Jazz is one of my favorite Denver bands to swing dance to. I've also had the pleasure of hiring them for some of my dancers and even collaborated on a performance once. They are highly professional and flexible. They are constantly working on their craft. They have excellent stage presence and take joy in playing for various crowds. I highly recommend hiring them for your next public event where you want to add musical ambiance, wedding, or party. We were honored to have La Pompe Jazz play for our wonderful wedding celebration! It was a perfect eve at the Clyfford Still Museum.. surrounded by love and fantastic sound.. Thank You!! Great to work with and exceptionally talented. Cheers! We hired La Pompe Jazz to be our live background music for a reception with partners of our ministry. David and his team were outstanding. They were prompt in communication, arrived on time, dressed professionally, and their music was the perfect accompaniment to our gathering. They played a wide variety of songs, very upbeat and lively but not overpowering. They kept a close eye on the conversations around them, and adjusted their volume if they noticed people were having a hard time listening. They are very talented; we would absolutely recommend them, and we'll definitely be hiring them again next time we're in town. La Pompe Jazz played our wedding in the park. It was a very simple picnic wedding but we really wanted music to set the tone and it absolutely did. They were so polite and accommodating and just overall very talented. We also booked them last minute and they were wonderful about everything. They made our reception so lovely. We could not be more pleased. up while we continued to get ready for our party to begin. We received a number of comments from our guests how much they enjoyed the band and the selections they choose to play. As the party began to 'wind down' the group came into a second room where a number of people had gather to look at Classic Cars on display.....and played a wonderful "Tribute to the Cars" It was a very BIG hit with all present. At the end of the engagement musicians packed up everything and were gracious in their good-byes. They played 3 hours of good jazz. I'd give this group 5 STARS for performance/appearance/engagement with the guests. Thanks for the evening of good music guys. With La Pompe Jazz you can expect a reliable talented group of dedicated musicians. We can transport your guests to a Parisian Cafe in spring with soulful ballads and then turn up the tempo for swinging "hot club" style tunes. We have performed in restaurants, fundraisers, art shows, outdoor events, and weddings. La Pompe can offer packages that fit everyone tastes. For weddings we offer perfect tasteful aisle music, classy cocktail hour and a fun energetic reception. 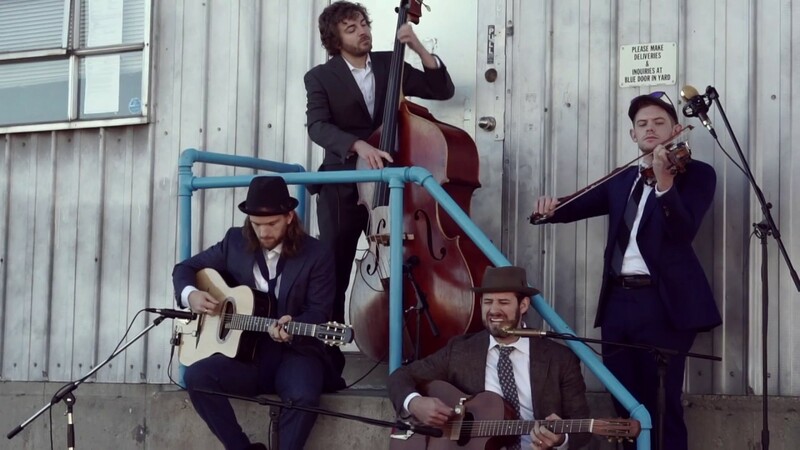 La Pompe Jazz is a Denver-based gypsy jazz group formed in 2013. 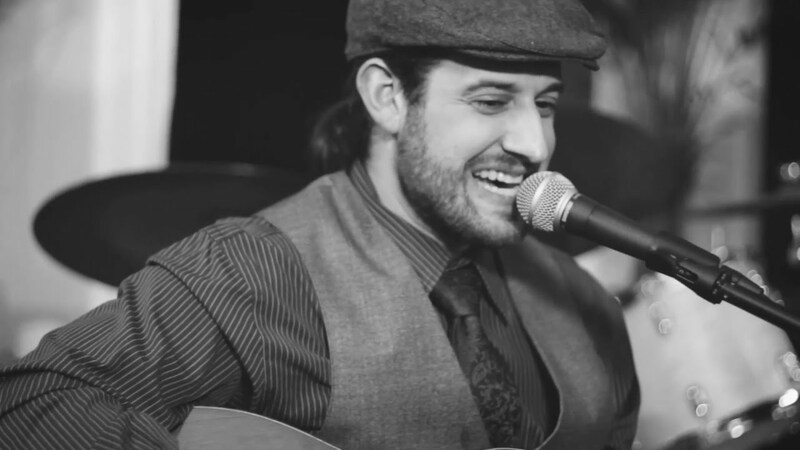 What started as a way to connect with fellow musicians and explore classic French gypsy tunes has developed into an eclectic blend of classic American jazz standards and "Hot Club de France" inspired tunes. La pompe is the French term for the driving rhythmic pulse that is ubiquitous throughout the gypsy jazz style. Made famous by the legendary Django Reinhardt, gypsy jazz uses the steady beat of the rhythm guitar to propel the jazz swing. Our current group consists of vocals, two guitars, an upright bass, & violin. 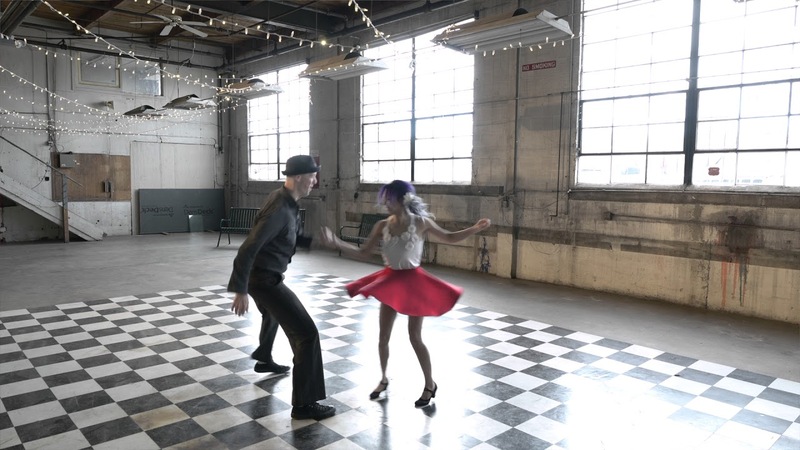 Also, don't forget to ask about our great relationship with local swing dancing troupe 'Swingin' Denver', if you are interested in swing dance lessons or a full performance to put your event over the top! October 31, 2015 • 7:00pm - 8:00pm Halloween!! @ Vine St.